This is an old brick pack made by FART and King Tinks, and was edited by RallyBlock and Barnabas to it's now remastered state. I made sure not to change any of the brick place rotation(When you place a brick in its ghosting state) so if you were to load an old save with this pack it wouldn't cause issues. 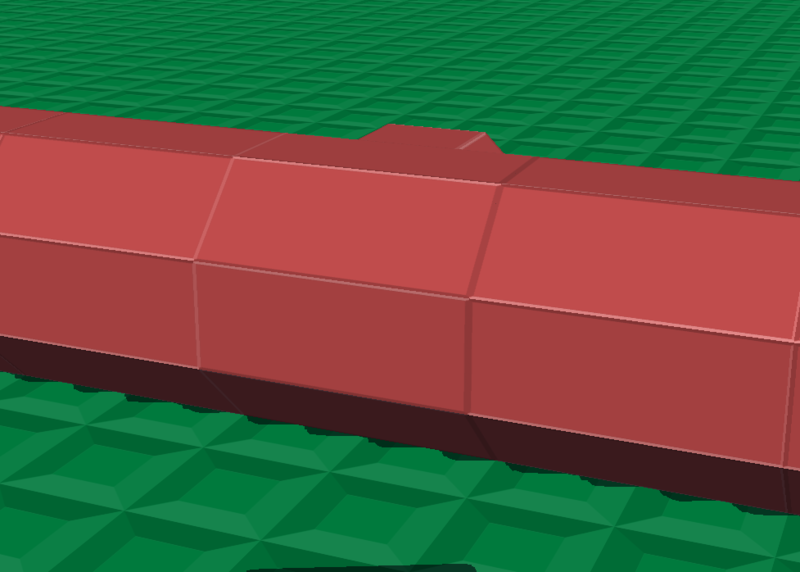 Several of the bricks have had a collision shape remake, thanks to Barnabas. The rounds that had that weird shading effect that would glow in the dark has been fixed, if anything else has this issue let me know. I have worked on the uv-mapping on the octobricks making them not perfect, but better then they were before. I have fixed the 3x3 ceiling plate having the top texture rotated the wrong direction, I believe this was the only brick with this issue but I'm not sure. The 1x2 Log brick was removed from the pack, I will provide a link to the brick pack that should replace that brick. Octobrick's uv-mapping on the horizontal bricks don't line up at certain rotations, I may have a fix but I'll get to that later. Uv-mapping on most bricks I haven't touched yet need some fixing. You have no idea how much i needed this. Hands down, this is the best add-on of 2017. It's possible, I'll give it a go. Edit: Nevermind, I forgot when you apply top texture to something it makes it incredibly shiny. Unless that's fine? Also, thanks for the feedback everybody, much appreciated! You, my sir, are a life saver. Holy stuff, I seriously never expected for someone to finally fix such a simple issue. I just got a message from Barnabas today and he gave me a version of the pack that he put together that fixes all the ramp collision and panel collision, I also decided not to fix the plant rotation on any of the bricks, so I converted the half rounds back to how they were originally rotated so players can load there old saves without having the half rounds rotated the wrong way, I also went through and fixed the shading issue on the round print bricks. Please re-download the pack with the same link if you want the new updates. Yeah, the only way I can think of fixing that would be to use the BRICKTOP texture instead of the BRICKSIDE and uv mapping it to look like the side texture. But the top texture makes that face have more shading then it normally does with the side texture. I could just go ahead and do that and post a picture of it to show what it looks like.